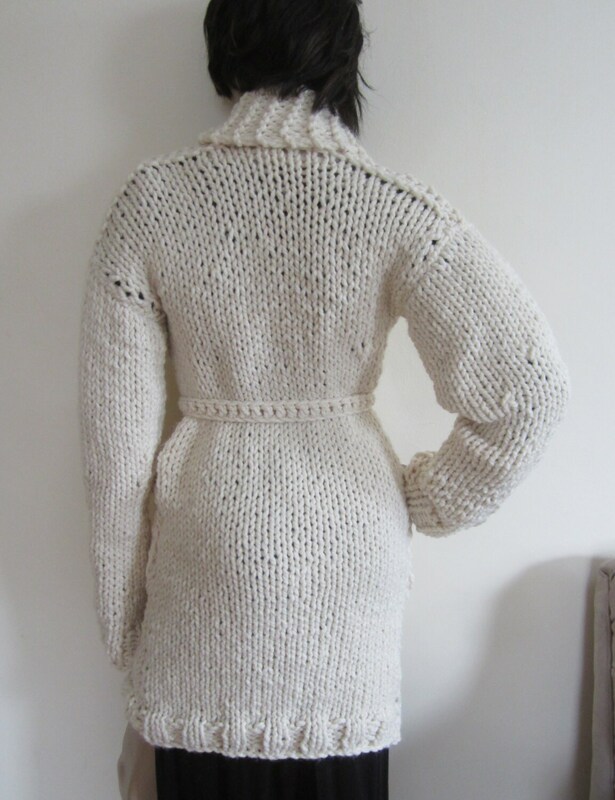 This is an IVORY or WINTER WHITE cardigan made using soft and warm wool blend yarn. This is going to become your go to cardigan for this FALL/Winter season. 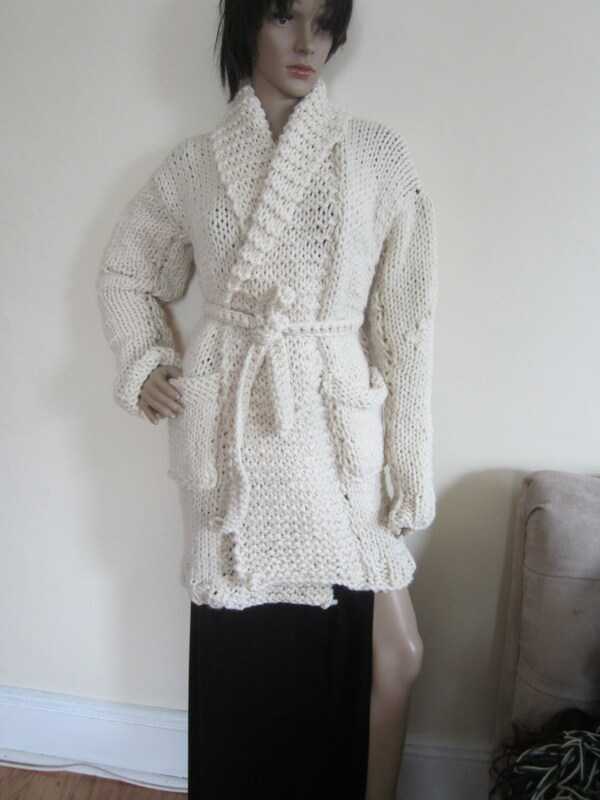 Cardigan features shawl collar, pockets and a crochet belt. Its the perfect addition to your wardrobe. Great for layering any outfit.